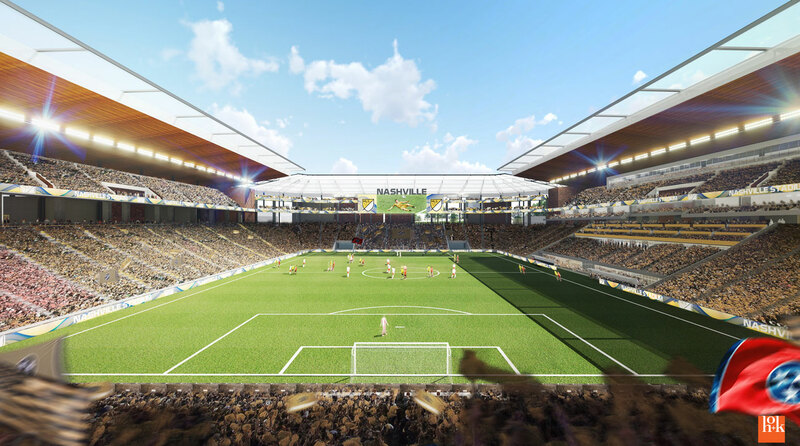 Nashville's MLS expansion bid continues to gain momentum, with the league continuing on its path to grow to 28 teams. Last month, the CONCACAF Gold Cup and a friendly between Manchester City and Tottenham Hotspur attracted more than 100,000 soccer fans to Nashville’s Nissan Stadium. 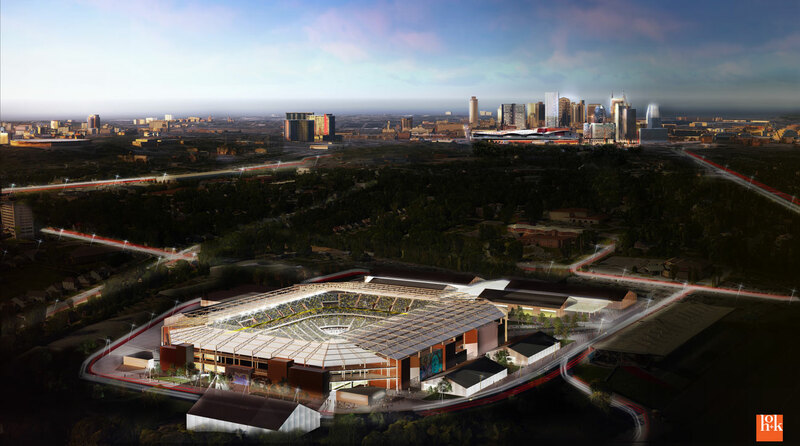 Fueled by that show of support and an MLS expansion bid that seems to be gaining momentum, investor John Ingram and his colleagues on Monday evening unveiled their initial plans for the sport’s permanent home in the Music City. Ingram, whose family has been a fixture in Nashville’s economy and civic life for decades, told SI.com that his hometown “has historically been a very collaborative place” and in that spirit, he said he planned to present the first renderings of a soccer-specific stadium and details of the group's proposal to members of the Metropolitan Council and Vice Mayor David Briley. The stadium will be at the centerpiece of a “private-public partnership,” Ingram said, and the preliminary design makes room for approximately 30,000 seats. 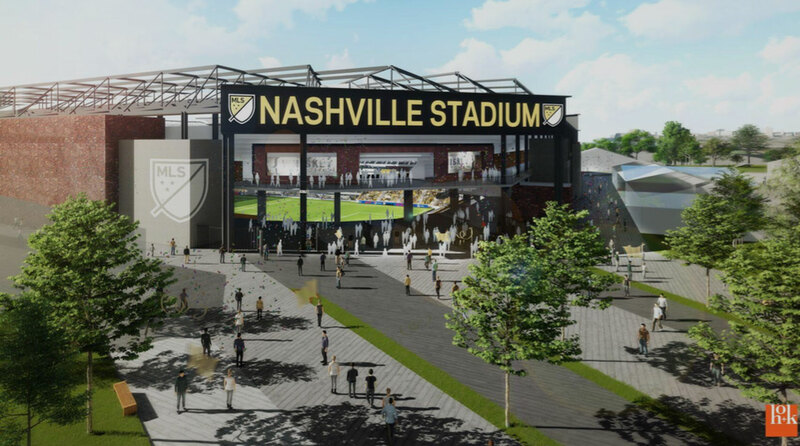 The size, Ingram said, “is a combination of what we think about the future growth of MLS and if it works out that another tenant could use the facility.” That potential tenant likely would be Vanderbilt University’s football team. Ingram sits on Vanderbilt’s Board of Trust and in April, his family donated some $20 million to the school. He has recused himself from Vanderbilt’s evaluation of any off-campus stadium opportunity, according to The Tennessean. HOK, an architectural firm familiar to MLS fans as as the designer of San Jose’s Avaya Stadium and the soon-to-open Mercedes-Benz Stadium in Atlanta, produced the renderings. They’re preliminary, Ingram stressed, and intend to help launch the discussion he hopes will lead to a groundbreaking. The stadium will be located at the Fairgrounds Nashville, a piece of city-owned property just south of downtown that’s the current home of a racetrack, a small arena and other facilities. The stadium would sit less than three miles from the state capitol and eventually may be served by a Nolensville Pike light rail-line just to the east. Rather, he said, he envisioned a stadium that was “architecturally consistent” with structures found around the rest of the city. Financing is a work in progress. The Ingrams are worth more than $4 billion, according to Forbes, and John Ingram’s new minority partners, Minnesota Vikings owners Mark, Zygi and Leonard Wilf, bring additional billions, new stadium experience and their NFL/MLS board room connections to the table. The Fairgrounds land is owned entirely by the city and won’t require too much red tape, or a public vote, to transfer. The nature of the partnership between club and city will be defined as more meetings are scheduled, Ingram said. Monday’s was a start of formal proceedings, and a chance for him to make his MLS vision a bit more tangible. “We’ll get their input and hopefully help them see what we believe is a good opportunity for us and an even better opportunity for the city,” he said. MLS has pledged to add four additional expansion teams (not including David Beckham’s project in Miami) and has said it expects to name two new clubs—members No. 25 and 26, in December. After favorites like St. Louis and San Diego stumbled, the race has opened up and Nashville—the country’s 29th-largest media market—seems to have as good a chance as any to be admitted with front-runner Sacramento. Larger competitors including Detroit, Tampa Bay, Charlotte and Phoenix still have work to do and a quick agreement between Ingram and the city would further enhance Nashville’s chances. In fact, those odds may be better this year—before any of the aforementioned markets or others find the land and/or investors they need.